Before moving into your new self built house there is a final job to do. You will have to carry out a procedure called snagging. Has everything been painted? Does it need a second coat of paint? Quite often newly plastered walls require more paint that you would usually put on a wall. There are paint products specifically for newly plastered walls that not only give a better finish but also leave a base ready for future coats of paint. Run your hands over all the plasterwork. Can you feel any rough spots that will need sanding down and repainting? Is everything fitted correctly? Do drawers slide in and out with ease? Do the cupboard doors open and close and align with other doors? What about shelves, wine racks and vegetable containers - have they been fitted? It is so easy to overlook these minor points when you have a complete kitchen to fit out. Tiling should be grouted and the kitchen sink sealed before water leaks under the edge of the surfaces and ruins the new units. Are the skirting boards in all rooms nailed in properly? Have they been sanded and painted or is there enough staining if that has been your choice? What about marks where nails have been hammered in, have you filled these and painted over them? Are locks fitted in doors? What about those new fitted wardrobes; do the doors hang correctly? Remember to check the ensuite room and airing cupboard as smaller areas can be overlooked. Have the curtain tracks been fitted and do they run properly? Have all fitted carpets been secured into place? 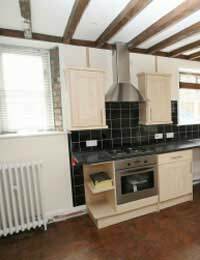 Are floor tiles level and stuck down securely? Check stair carpet is anchored in place, as an accident on the stairs can be very dangerous. Plaster and building dust can settle everywhere. Go through the house and vacuum and wipe down every surface several times otherwise it will work into the carpet and furnishings and shorten the length of their life. What about the tiling in the bathrooms, has it been grouted correctly and has the bath edge been sealed? What about sink plugs and light cords have they been fitted or forgotten? Are the doors hanging right? What about the outside doors are they sealed or are there any drafts? Check the door and window locks are working and the keys are present, as it is a requirement of your insurance policy that they are working apart from the security of your family. Check that there are no building materials left lying around, as they could be a safety hazard. Paving stones should have settled by know, check that none are sticking up and could trip a visitor. Are the light fittings secure and working? Has every screw been tightened both on the lights and the wall sockets? Once you are happy that you have done the snagging in your home you will be free to move in and enjoy to a beautiful house that has been build completely with your own hands. Triple Glazing: Is It Worth the Money?